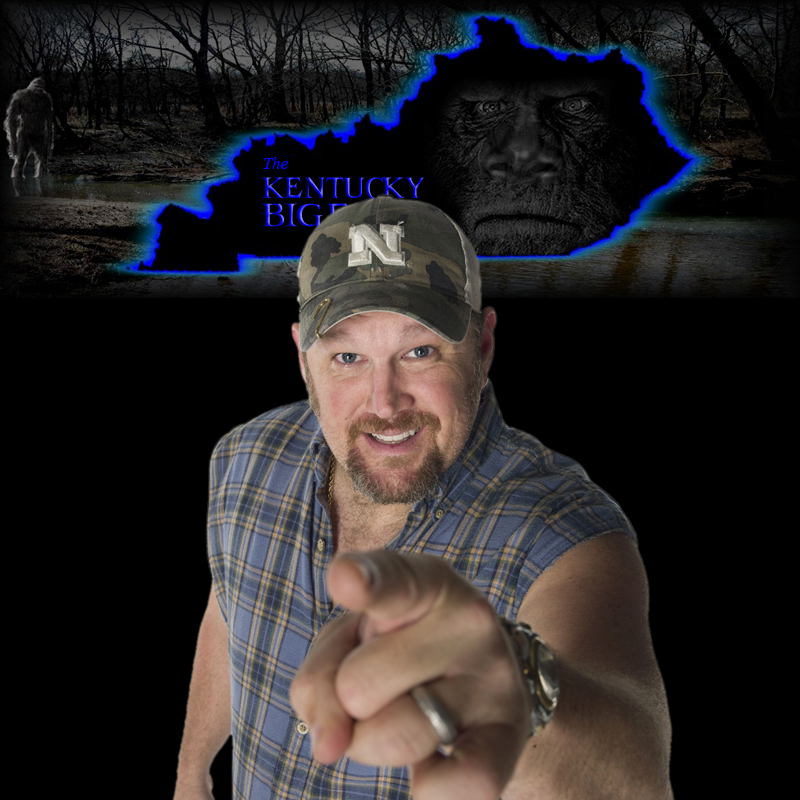 Tonight Larry the Cable Guy will try his hand at Bigfooting (read our complete coverage of Larry The Cable Guy). The episode is called Kentucky Road Trip. There was some controversy to a follow-up interview Larry did. At one point there seem to be some returned howls, especially to Larry's calls. As you can see from the quote above Larry thought it was a member of his production crew. Kentucky Bigfoot was not convinced and asked the production crew themselves. See quote below from from Charlie Raymond of Kentucky Bigfoot. As you will see when the episode airs, Larry was not only a little scared when he heard the howls, but he was in complete denial when we received two separate vocalizations. He argued with the film crew, blaming them for one of the howls. The film crew adamantly denied making the howls. In order to make sure Larry and his crew are not pulling a fast one over on us, I contacted Blake Smith, a production crew member...I asked him to ask the crew if they did in fact made the howl, or is Larry simply still in denial? Blake explained to me on 1-18-12 over the phone that he talked to the crew and they did NOT make the howls. LARRY THE CABLE GUY: Train Whistle. 2nd MAN: (laughing) It answered you back. LARRY THE CABLE GUY: Check that out, you got a return of a train whistle. The conductor heard ya. 1st MAN: Why don’t you try one, all you have to do is scream real loud. LARRY THE CABLE GUY: Just do what you done? 1st MAN: Yeah, or do your own! Do your own version. LARRY THE CABLE GUY: All right. LARRY THE CABLE GUY: Did she hear it? 1st MAN: Did you hear a reply back on that? 1st MAN: You heard the first one, right? 2nd MAN: We only did one. LARRY THE CABLE GUY: That was me. I, I Went I said, I just went yelled some. RADIO LADY: Did you do another one unannounced? 1St MAN: (to Larry) That wasn’t that loud though. 2nd MAN: (To LADY on Radio) No, no we didn’t. 1st MAN: Did it sound like a train? RADIO LADY: No it didn’t sound like a train. I think you did another one and you didn’t tell us. 1st MAN: We did not. 1st MAN: Which direction did it come from? RADIO LADY: It came from behind you all. I think it was you guys. 2nd MAN: Ask her if it was short. Was it short? 1st MAN: (to the other men)Did we do one? LARRY THE CABLE GUY: No, but she heard one. She said behind us. 1st MAN: That’s the other side of camp. RADIO LADY: So you’re saying you heard something behind you? Or where? RADIO LADY: We did not hear something? 1st MAN: Larry? Push the side button. LARRY THE CABLE GUY: Right here? 2nd MAN: The big button. LARRY THE CABLE GUY: No, we done one sound, and then we didn’t do no more sounds. We just done one sound. Now, the sound that you done heard, was that from in-between you and us? Or was that behind you? Or behind us? Or was that in front of us and behind you? RADIO LADY: It was behind you guys. I thought you did another one and you didn’t announce it. RADIO LADY: Just off them up some s’mores. LARRY THE CABLE GUY: Ohhh, that will stop anybody in their track, them s’mores. Alright we gonna do another yell. If you hear something after that yell, let us know. We’re just doing one set. RADIO LADY: Larry, I think he’s starstruck. LARRY THE CABLE GUY: You want to do the yell or you want me to do it. 1st MAN: You do it man. 2nd MAN: Loud, do it really loud. LARRY THE CABLE GUY: (Crazy Yell, spelling may not be accurate) Wahhhhwooo-lbl-lbl-lbl-gah-gah-gah-gah-goo-goo-boo-plbt-plbt-woo-plbth-PLBTH! 2nd MAN: What was that? 1st MAN: Dude! What the hell? 2nd MAN: Was that an echo? 2nd MAN: Did you get that? Did you guys hear that? Did you all get it? 2nd MAN: (To Radio Lady) Did you just hear a howl after Larry’s nonsense? 2nd MAN: (To radio Lady) No between us! Listen, Harry—Larry. Larry just did a crazy howl. Then we heard a deep howl right on the end of his. 2nd MAN: (To Larry) Did you get that? LARRY THE CABLE GUY: Yeah I Heard that. 2nd MAN: That wasn’t like an echo from him was it? LARRY THE CABLE GUY: That was like a bear or a wolf. 2nd MAN: That was a deep…OK Listen, Let’s get serious for a second, we could have activity. What do you think? Based on the last line, it sounds like there was some other activity too. As much as Larry seems to be a non-believer, he seems to be a Bigfoot Magnet. Kentucky Bigfoot continues to gain the notoriety and attention they deserve, recently being chosen to be part of a BBC documentary. Read our Kentucky Bigfoot Coverage, visit KentuckyBigfoot.com and visit Kentucky Bigfoot's Facebook Page. And stay tuned as we will do a post on the BBC documentary. I know it's not a "yetti" if u will! Aka abonamal snowman! Which larry thinks are the same! It's not a yetti!!! Is there a transcript of what he says at the end of the segment? Something like: unfortunately we didn't find any sasquatchs, because there isn't one. Or something like that. Does anyone have an exact quote on that? I believe he does say "unfortunately we didn't find any sasquatchs, because they're aren't any." But then he looks over his shoulder like one migh be behind him! Kinda funny. He is a total skeptic, however in the beginning of the segment, while they are driving, he says to his film crew he has a friend who swears up and down he saw one.